Very Rev. Joseph G. Fonti, S.T.L. A graduate of Cathedral Prep’s Class of 1984 (Brooklyn), Bishop DiMarzio appointed Father Fonti Cathedral’s first Rector-President in 2013. Prior to coming home to Cathedral Father Fonti has served as a parochial-vicar, a high school chaplain, a seminary spiritual director, and as a pastor. He has also held several Diocesan positions: Vicar for Pastoral Support, Director of The SS Peter & Paul Spirituality Center, Associate Director of the Sacred Heart Institute, and Director of the Office of Priestly Life & Ministry. In conjunction with the duties of Rector-President he continues to minister to the priests of the Diocese of Brooklyn as the Director of the Office of Priestly Life and Ministry. Father Fonti was ordained on June 27, 1992. He studied in Rome for the priesthood at The Pontifical North American College, and did post graduate work at the Teresianum, also in Rome. He holds an S.T.L. in Spiritual Theology. Mr. Richie Diaz, M.A., M.S.Ed. A graduate of Cathedral Prep’s Class of 1996, Mr. Richie Diaz began his career teaching English at Cathedral Prep in 2001. Prior to assuming the role of Principal of the school in 2013, Mr. Diaz worked in the roles of English Department Chairperson, Assistant Dean, and Vice Principal. 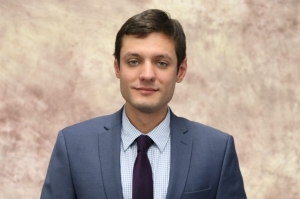 Mr. Diaz holds a Bachelor of Arts Degree in English Literature from Hofstra University, a Master of Arts Degree in English Education from Queens College, and a Master of Science Degree in School Building Leadership from St. John’s University. In addition to his duties as Principal of the school, Mr. Diaz also teaches the English IV Honors and Skills IV courses to seniors. As a graduate of Cathedral Prep Class of 1979, Mr. Russo has taught at his alma mater since the fall of 1990. Previously, he had taught at St. Anthony - St. Alphonsus Elementary School in Greenpoint. 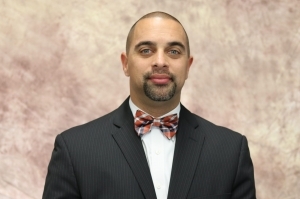 Currently he is the Assistant Principal for Student Life and teaches U.S. History to the Juniors, and courses in Government, Economics, and Public Speaking to the Seniors. He also coaches our school’s successful Forensics (Speech) team and moderates the Cathedral Prep Air and Space Association. 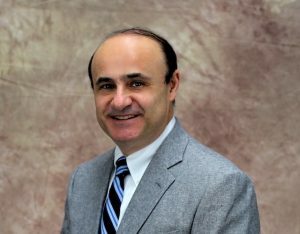 A graduate of Cathedral Prep’s Class of 1982, Mr. Louis D‘Amico began his career teaching English and Latin at Cathedral Prep in 1986. Prior to assuming the role of Business Manager of the school in 1992, Mr. D’Amico also taught Computer/Typing, coached baseball, and was the Moderator for the Yearbook and Intramurals. In addition to his role as Business Manager, Mr. D’Amico teaches a course in Business Management. After over 30 years in financial services, Mr. Ryan joined Cathedral Prep in the Fall of 2018 as the Director of Development and Alumni Affairs. 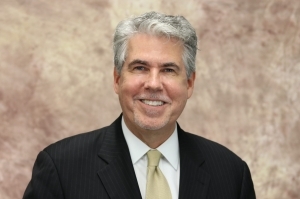 Born in Brooklyn and raised on Long Island, Mr. Ryan is a graduate of St. Pius X Prep in Uniondale - Class of 1975 and Cathedral College in Douglaston - Class of 1979. Mr. Ryan has been active in alumni events over the years and continues to serve on the Cathedral Prep Board of Trustees since 2015. 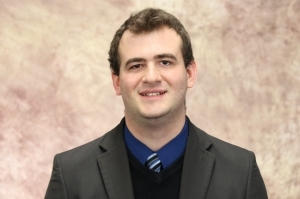 Mr. Banevicius comes to Cathedral Prep with varied experience and expertise. 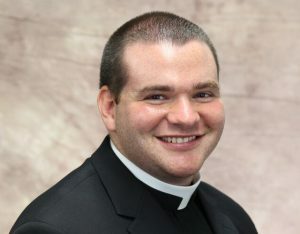 Having worked as as a Software Engineer in New York City and teacher in New Jersey and the Bronx, Mr. Banevicius was also recently a seminarian at the Cathedral Seminary House of Formation in Douglaston, Queens. Mr. Banevicius holds a Master of Arts Degree in Philosophy from St. Joseph Seminary, and a Bachelor of Arts Degree in Computer Science from Princeton University. He will be teaching Living Environment, Physics, and Coding & Computer Science courses. A Cathedral graduate from the Class of 2007, Father Bethge was Ordained a Priest on June 27, 2015. After his Ordination Father Bethge was assigned by Bishop DiMarzio to be the Parochial Vicar of Incarnation Parish in Queens Village. 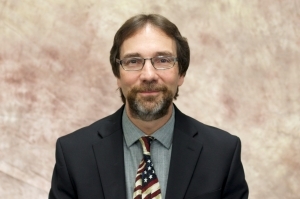 Father Bethge holds a Bachelor of Arts Degree in Philosophy from Saint John’s University, a Master of Divinity Degree from Saint Joseph’s Seminary and, a Master of Arts Degree in Theology. Father Bethge teaches freshmen Theology. Deacon Philip A. Franco. 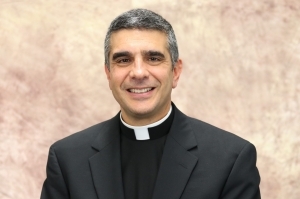 Ph.D.
A graduate of Cathedral Prep’s Class of 1993, Doctor Franco was ordained a deacon in May 2015 and is assigned to the parish of Our Lady of Mount Carmel in Brooklyn. He and his wife Tara have been married for 12 years and they have three sons. He has a Masters in Dogmatic Theology and a Doctorate from Fordham University in Religion and Religious Education. He has been a teacher and Catholic school principal for almost 20 years. He is teaching the Junior Class Moral Theology. Mrs. Gluszak holds a Master of Arts Degree in English Literature, and has done graduate coursework in Education at St. John’s University. A teacher with over fifteen years of experience, she has taught in Catholic high schools in both Brooklyn and Queens. She is teaching English to the Sophomores, Juniors, and Seniors. Mrs. Gluszak also currently teaches writing at St. Joseph’s College, Brooklyn. She is moderator of The Current, Cathedral Prep’s school newspaper. 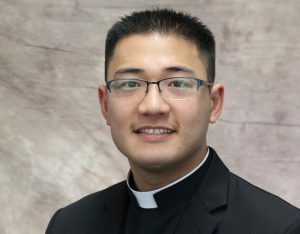 Father Lee was ordained in 2013, and is currently serving as a parochial-vicar at St. Mel’s Church in Flushing Queens while assisting at the Vocation Office as a Regional Vocation Director for Queens North. Prior to ordination, Father Lee studied and received his formation in Rome at The Pontifical North American College and holds an S.T.L in Dogmatic Theology from Pontifical University of Saint Thomas Aquinas. Father Lee teaches sophomore Theology. 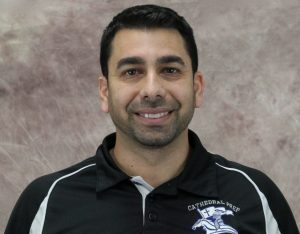 Mr. Medina comes to Cathedral Prep with fifteen years of Physical Education and Health teaching experience, and track coaching experience at Bishop Ford High School. 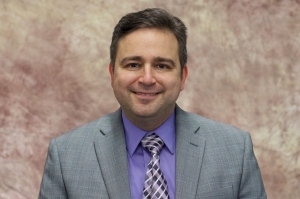 Mr. Medina holds a Bachelor of Science Degree in Business Administration from St. Francis College and has pursued graduate-level coursework in Teaching at Touro College. He teaches all levels of Physical Education and Health at Cathedral Prep and serves as the Athletic Director. Mrs. Luz Miranda comes to Cathedral Prep with ten years of experience, having taught Spanish at various levels. 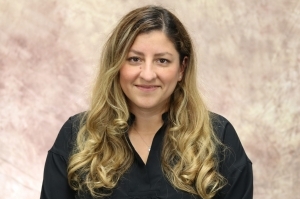 Mrs. Miranda holds a Master of Science, Education Degree in Administration and Supervision from Fordham University and a Bachelor of Arts Degree in Media Studies and Spanish from Hunter College. Mrs. Miranda teaches Spanish and Fine Arts. Mr. Reyes comes to Cathedral Prep very aware of who we are as a school, having previously taught here. 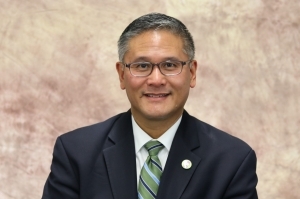 With over ten years of teaching experience at various Catholic schools, Mr. Reyes has also recently worked as a teacher for medically homebound students. Mr. Reyes holds a Master of Science Degree in Biology and a Master of Business Administration Degree from Adelphi University, and a Bachelor of Science Degree in Biology from SUNY Stony Brook He will be teaching Living Environment, Chemistry, and Algebra I courses. 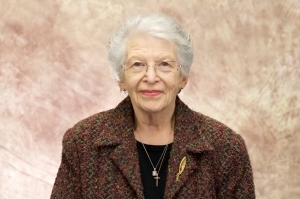 Mrs. Rosa is a graduate of Hunter College holding a degree in French and dual minors, Latin and Spanish. Having first started her teaching career at Newtown, H.S., she moved on to Catholic education as a teacher of French at St. Mary’s Nativity School, Flushing, where she established a French language program for grades 4 to 8. The Holy Spirit led her to Cathedral Prep 25 years ago. Mrs. Rosa teaches all levels of Latin and will be moderating the French Club to share her love of the French language with her students. Ms. Sammarco comes to Cathedral Prep as no stranger to the school, as the daughter of a graduate and as the older sister of two brothers who are graduates of Cathedral. Ms. Sammarco holds a Master of Arts Degree in Mathematics and a Bachelor of Arts Degree in Mathematics, both from St. John’s University. She teaches all sections of Math to the Freshmen, Sophomores, Juniors, and Seniors. Mr. Sammarco is a graduate of Cathedral Prep Class of 2010. Returning to his alma mater, he teaches Global Studies I and II, and a section of Physical Education. He holds his Bachelor‘s of Science Degree in Adolescent Education, concentrating in Social Studies, with an additional minor in Theology and Master’s Degree in United States History from Saint John’s University. 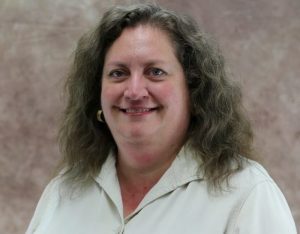 Mrs. Peluso comes to Cathedral Prep with thirteen years of teaching experience at Notre Dame Catholic Academy and Northside Catholic Academy. 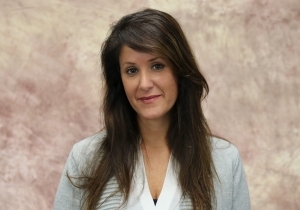 Mrs. Peluso holds a Master of Science Degree in Special Education from Touro College and a Bachelor of Arts Degree in English and Secondary Education from Queens College. 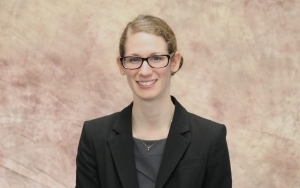 She will serve as the Coordinator of the Vianney Program and will be teaching Introduction to Literature, British Literature, and Skills courses.